Thermally and mechanically created to meet the challenge of operating in a vacuum and at the 3,500 G force present within a rotating jet engine shaft . Designed to accurately measure small, fast thermal changes to model heat transfer as air hits the turbine blade. Captures thirty-two channels at four mega-samples per second, stores to memory and then streams to an external Host PC at a rate constrained by the link from the jet engine simulator to outside world. 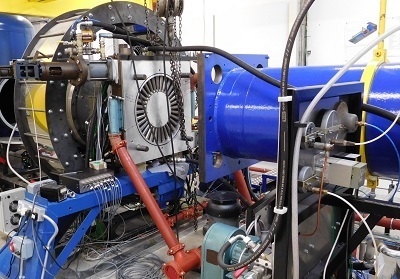 Using this equipment and software will enable Oxford University’s Osney Thermo-Fluids Laboratory to improve and verify its modelling capabilities leading to a greater understanding of reaction engine thermal behaviour and wear characteristics. 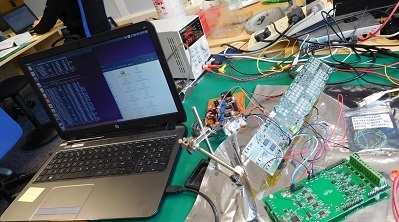 Speaking of the project, Martin Oldfield, Emeritus Professor of Engineering Science at the University of Oxford, said: "As the designer of many of Oxford’s earlier heat transfer measurement systems, I am impressed with the performance of ASH's new design, in terms of bandwidth, noise performance and channel density. This was an ambitious project, integrating both digital and analogue circuitry, and which needed to meet complex requirements, including spinning at 10,000 rpm, and operating in a vacuum. The ASH system is a significant step forwards in heat transfer instrumentation." If you would like to know more about this and similar projects, you can visit the Osney Thermo-Fluids Laboratory website here.